These areas show the organizing principles of "Home" and "Like with Like." 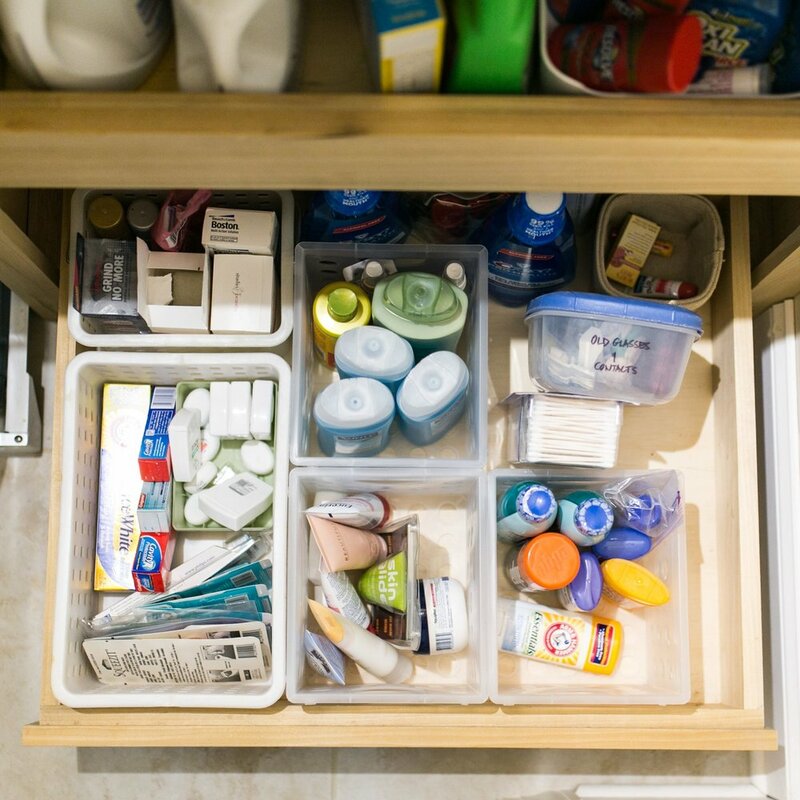 Whether it's a stock of toiletries, toys and games, or craft supplies, every item should have a place ('Home"), preferably with other things of the same type ("Like with Like"). This makes finding what you need quick and easy. 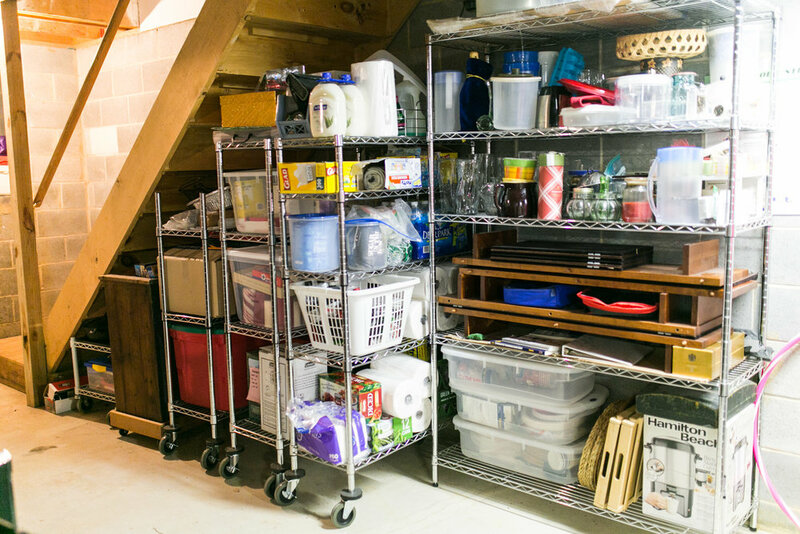 Wire shelving is practical and functional, and a great solution for areas like basements and attics. In the basement, we customized the heights of some of the units to fit under the stairs, and added wheels to make everything more accessible.